Elected to represent Oregon in the United States Senate in 2008, Jeff Merkley replaced conservative Republican Senator Gordon Smith in a hard-fought battle for the state's junior seat. The son of a millwright, he was born in the timber town of Myrtle Creek, Oregon, and was the first in his family to attend college, graduating with an undergraduate degree in International Relations from Stanford and a graduate degree in Public Policy at Princeton's Woodrow Wilson School of Public and International Affairs. 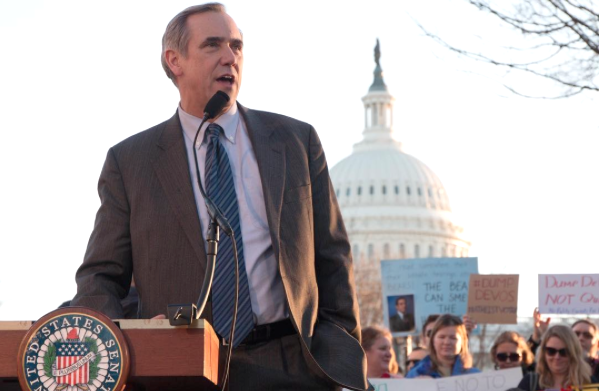 After college Merkley worked as a national security analyst at the Pentagon and at the Congressional Budget Office, then returned to Oregon in 1991 to take a position as the executive director of Portland Habitat for Humanity. His work to provide housing for Oregonians led him to consider running for office, and he was elected to the Oregon House of Representatives in 1998, eventually becoming Speaker of the House. In his life outside of politics, he enjoys hiking and recently completed an IronMan event with his daughter. Impressive! Genetically modified organisms (GMO) labeling and climate change. GMO labeling gives consumers easy access to the information they need to make informed food purchasing decisions. There are Federal requirements for disclosing whether fish is farm-raised or wild-caught, or whether juice is from concentrate or fresh squeezed; the same should be true for genetically modified ingredients. After all, 64 other countries—including China—allow their consumers to know whether products contain GMOs. 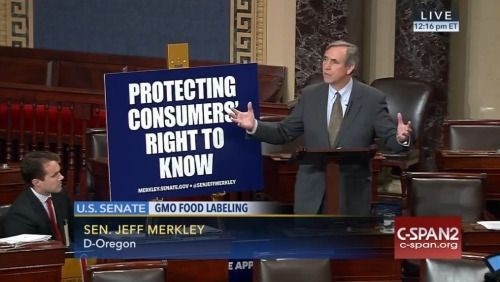 I have been deeply immersed in this issue, and last year introduced the Biotechnology Food Labeling Uniformity Act, which would deliver a 50-state solution instead of a potentially complicated patchwork of GMO labeling laws. Major food companies like Campbell’s, General Mills, and Mars have listened to the nine out of 10 American who agree that GMOs should be labeled, and have taken steps to voluntarily disclose this information on their products. These companies are demonstrating that it is possible to give consumers the information they want without raising costs at the grocery store. As a ranking member on the Agriculture and Rural Development Appropriations subcommittee, I’ve been advocating for consumers, and organic and small farms; traditional “big” crops like corn and soybeans are already well represented by lobbyists. 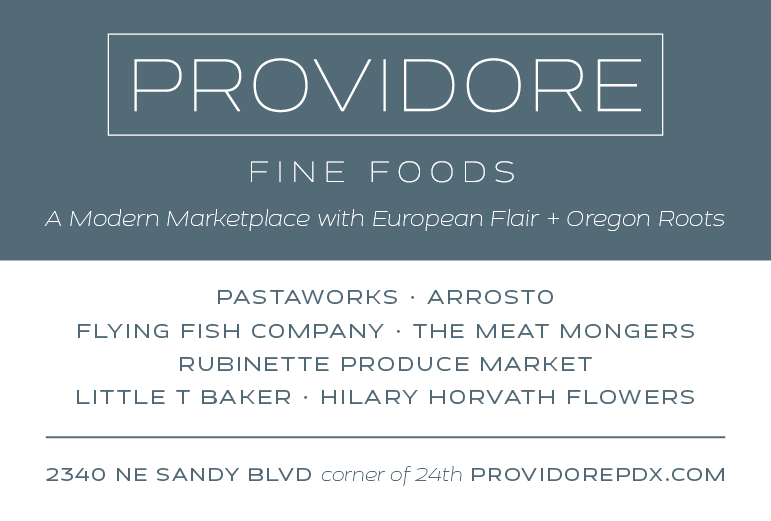 I will continue to advocate for Oregon’s specific agricultural needs and consumers’ right to know what’s in their food. The devastating effects of climate change are already being felt by food systems here in Oregon—baby oysters are dying as the ocean becomes more acidic; wildfire season is longer and more intense; prolonged drought is crippling farms and ranches. And yet we have a president who believes climate change is a hoax, and an Environmental Protection Agency chief who doesn’t think humans have contributed to global warming. Since we can’t count on the current administration to act on climate, in the coming months I’ll introduce a “100-by-50” bill to achieve 100 percent clean and renewable energy by 2050. The would provide a roadmap to clean the electric grid, electrify transportation, and promote investments in new technologies to end the use of polluting fossil fuels. The “100-by-50” framework is something every group or organization can sign onto: Commit to operating on 100 percent clean and renewable energy by 2050, and develop a framework for how you’ll get there incrementally. Every garden club, cooking class, and family can contribute to reducing carbon emissions and curbing the effects of climate change on our food systems. There is a constant barrage of misinformation coming from the current administration. I suggest you identify a favorite traditional news source—one whose information is vetted and verified—to stay informed. Find an issue that you’re passionate about and get involved. The grassroots uprising by ordinary Americans has had a real effect on Congress. As we go forward, the impact of citizen action is directly proportional to the amount of individual effort it takes. If you sign a petition or send a form e-mail, you’ll help spread the message. By making a phone call or writing a personal e-mail, your message will be a little louder. The biggest impact is showing up—to town halls, to rallies, to demonstrations. Seeing hundreds or thousands or hundreds of thousands of people coalesce around an issue effectively sends a message. Read the other posts in this series.